Customers Love us! Read our reviews to learn why! 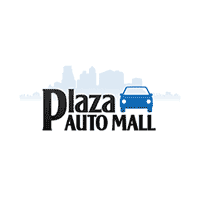 Plaza Auto Mall is a multi-franchise sales and service organization dedicated to creating lifelong customers by providing exceptional service and hassle-free solutions for all their automotive needs in one location. Whether you’re looking for a new Honda, a pre-owned Acura, Toyota lease options, Kia specials, or Hyundai parts and services, our dealerships have you covered! Thanks to our fully stocked inventory, drivers from all over New York City and the tri-state area can secure an eye-catching, affordable vehicle with ease. We’ve helped many drivers with their auto loan requests, including first-time buyers, or those in need of sub-prime financing options. Value your trade or send us a credit application to get started today. Our service technicians hold factory and ASE certifications so that we can make sure your vehicle is in excellent shape for the NYC streets. Plaza also carries an extensive inventory of genuine manufacturers parts and accessories available. Feel free to schedule a service appointment now. Our friendly Plaza team encourages drivers near Brooklyn, Queens, Bay Ridge, Staten Island, Manhattan, Bronx, Nassau County and the surrounding New York areas to browse our user-friendly website to learn more about the services we offer.